Eleven-year-old Danny Ryan and 19-year-old Wendy Marshall think their friendship is only about looking after two baby raccoons that Danny has rescued. But when a bank holdup upsets Wendy so much that she can hardly stand to be around people, she leaves her job as a teller, retreats to a farm, and surrounds herself with injured and orphaned wildlife. 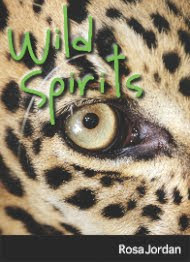 Danny, neglected at home and considered weird in a town where other boys are into hunting, finds peace on the farm, too, plus excitement, as he and Wendy adopt ever more exotic animals such as llamas, bobcats, a serval, an ocelot, and a blind lynx. This was a pretty entertaining read. Not amazing, but interesting, especially if you're an animal lover. I could see the plot as a true life story. The bulk of the story was just daily events in the life of a woman who loves to care for injured and orphaned animals. Wendy was a fairly mediocre character. The book is written in third person, so I didn't feel like I really bonded with her. Her young friend, Danny, was somewhat of a sad character. Danny avoids spending time at his own home because of his abusive stepfather and drunk mother. He prefers to help Wendy care for her small animal farm. Danny was probably my favorite character simply because I felt bad for him. His compassion and love for the animals was adorable. I did learn a lot about animals from this book. Wendy took in every animal in need, from bobcats to cute little fawns. When I was little, I thought that I'd spend my life doing what Wendy does. It was fun to take a look at Wendy's life and see what it would've been like. My biggest issue with the book was the lack of suspense. The story had the potential to be thrilling and exciting, but it fell kind of flat. Other than that, this book was a quick, engaging read. I'd recommend it to any animal lover, as well as young girls and boys in search of a good story. *Thanks to Dundurn Press for sending me a review copy in exchange for an honest review.